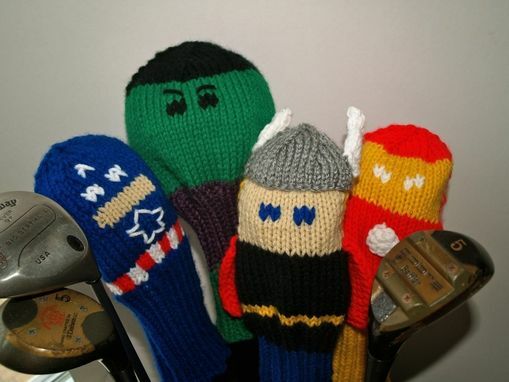 This Iron Man inspired Golf Club Cover will add power to your game, just like that amazing suit built by Tony Stark. 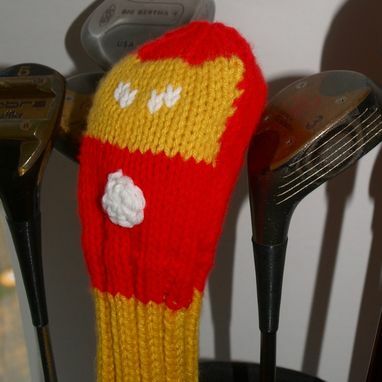 Sized to fit clubs from the number 1 wood to your tiny putter. Made out of acrylic fiber to prevent damage. Should you find yourself in the deserts of the middle east, it is machine washable! 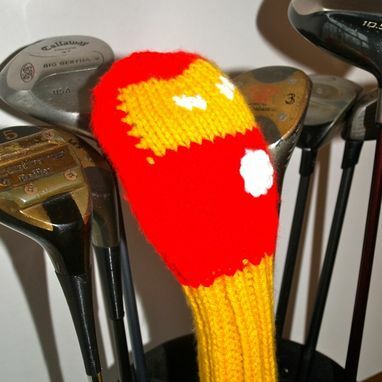 Your Iron Man golf club cover will be shipped to you wrapped in tissue and boxed up tight to prevent damage. This is not an officially licensed product of Marvel Comics. It is a handmade piece of artwork depicting a pop-culture icon. Thank You.